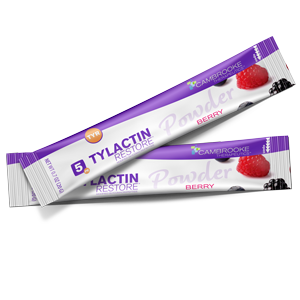 Tylactin RESTORE Powder is a great tasting hydration beverage for the dietary management of Tyrosinemia (TYR) in a convenient powder packet to take on-the-go. All Tlylactin RESTORE medical food formulas contain Tylactin, the proprietary, advanced formulation of glycomacropeptide (GMP) and essential amino acids. Can be mixed with existing TYR formula to get the benefits of GMP.